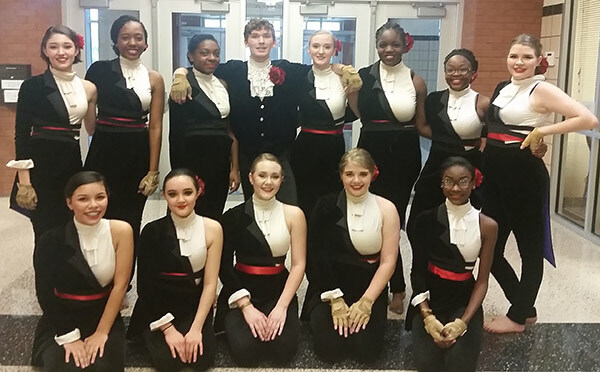 Texarkana, TX – During two North Texas Color Guard Association (NTCA) competitions in February, the Texas High School Winter Guard brought home a Second Place and Third Place award in their respective division. An estimated 55 teams competed in both events. Members of the THS Winter Guard are: Madison Browning, Braley Butler, Chloe Griffin, Cody Hambly, Anna Loanzon, Misty Lopez, Gracie Morehead, Harmony Mothershed, Cameron Murry, Cymone Thomas, Alliyah Vayson, Kayla Walthall and Lauryn Young.